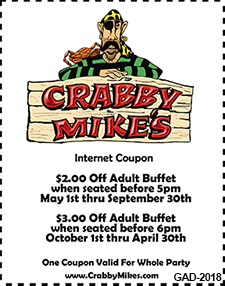 Crabby Mike's is known for being one of the best original All You Can Eat buffet restaurants in the Myrtle Beach area. Located just minutes south of Myrtle Beach in the heart of Surfside Beach, SC. 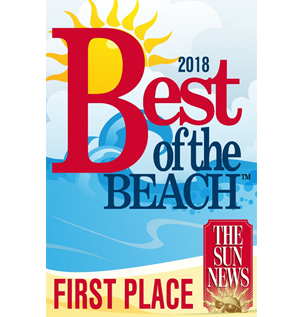 With over 28 years of customer's rave reviews, being voted best on the beach, as well as being a local favorite, it's no wonder that Crabby Mike's is known as "The Best Myrtle Beach All You Can Eat Buffet". Our buffet features over 120 items that are sure to please everyone. We have a Master Chef that has created our recipes and we prepare these special dishes daily with the freshest foods available. We guarantee great service with a fun dining experience. From Seafood, Prime Rib, Steaks, BBQ Pork, Chicken, Turkey, Ham and everything in between, you can't go wrong. Be Sure to use our All You Can Eat Buffet Coupon below to try us out if you already haven't. Just print it or show it to your server on your phone. 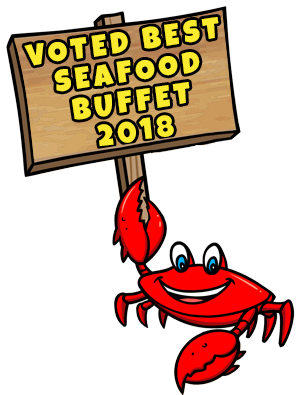 Many consider it an All You Can Eat Seafood Buffet featuring Crab Legs along with all your other favorite seafood such as Shrimp, Fish, Scallops, Crab, Clams, Mussels, Oysters, Crawfish and just about everything else that can be caught out of the ocean. Then we cook it in so many ways. 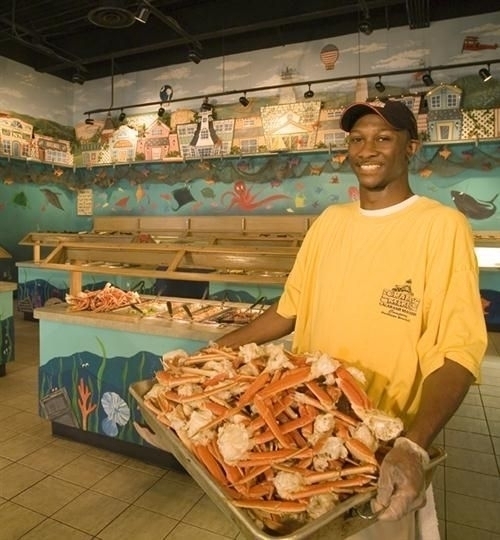 Our buffet is known around the world for it's All You Can Eat Alaskan Snow Crab Legs! Our famous shrimp dishes include Fried Shrimp, Broiled Shrimp, Shrimp and Grits, Boom Boom Shrimp to name just a few. 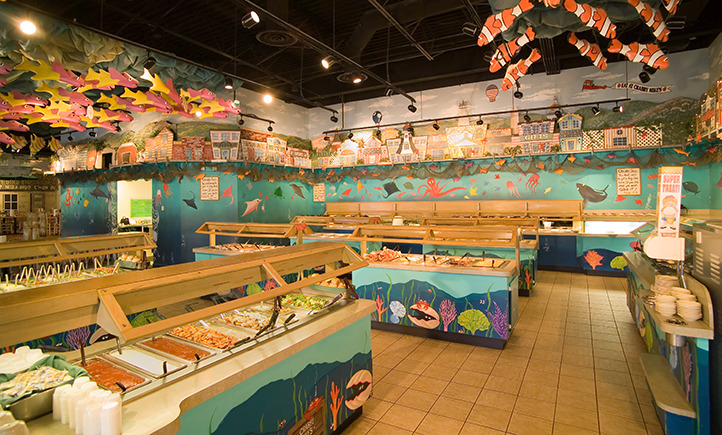 Our premium fish selections are sure to delight as we proudly serve the finest Mahi Mahi, Cod, Tilapia and Baked Alaskan Salmon. 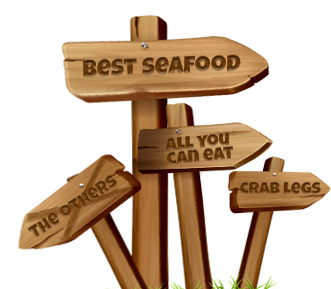 We truly believe we have the best Seafood Buffet in Myrtle Beach. Others think of Crabby Mike's as their favorite All You Can Eat Steak Buffet featuring slow roasted Prime Rib, Grilled Filet Tips, and Grilled Steaks. We take the time to cook to your liking. There aren't many restaurants in Myrtle Beach that can offer the same quality of Prime Rib and Steaks on their buffet as we do. Combine our Steaks with our Seafood dishes and make your very own Surf and Turf style meal. For the other food lovers and kids of all ages, we also serve Chicken, Pizza, Turkey, Smoked Sausages, BBQ Ribs, BBQ Pork, Honey Ham, Corn Dogs, Mac & Cheese, Pasta and more. You could eat here every day and always have a different meal. Especially with the Soup Bar, Salad Bar, Cold Bar, Breads and the Dessert Bar. Visit our Eats & Stuff page for more info.